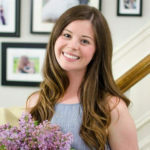 Alicia Gavaris is half of the wife-and-husband duo behind the blog A Burst of Beautiful. 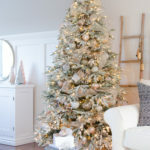 She is a designer, specializing in ways to infuse functional, modern-day living with charm and character. 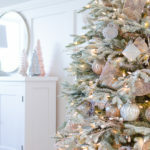 Through her blog, she shares creative and inspiring ideas to create a home that’s both beautiful and practical. 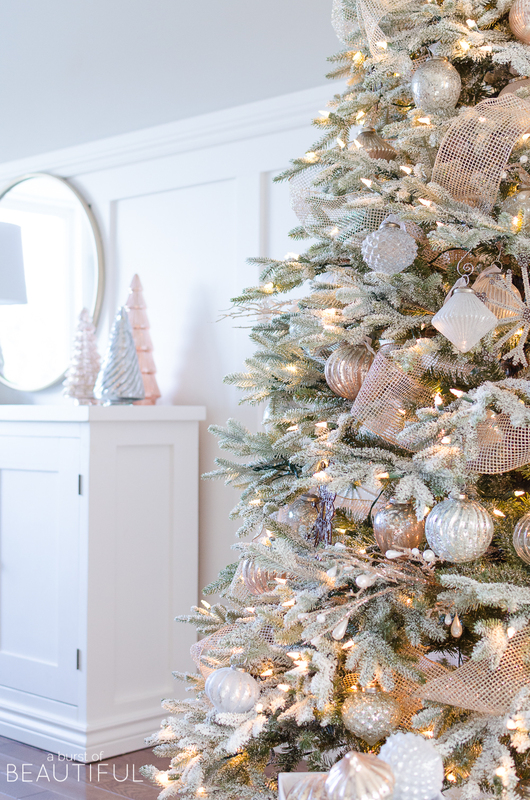 A serene and magical winter forest is the inspiration for this design. 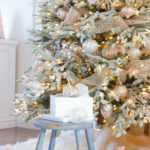 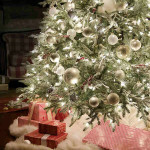 The Frosted Fraser Fir makes a perfect Christmas tree, with its verdant foliage and unique silver luster that resembles a snow-kissed evergreen. 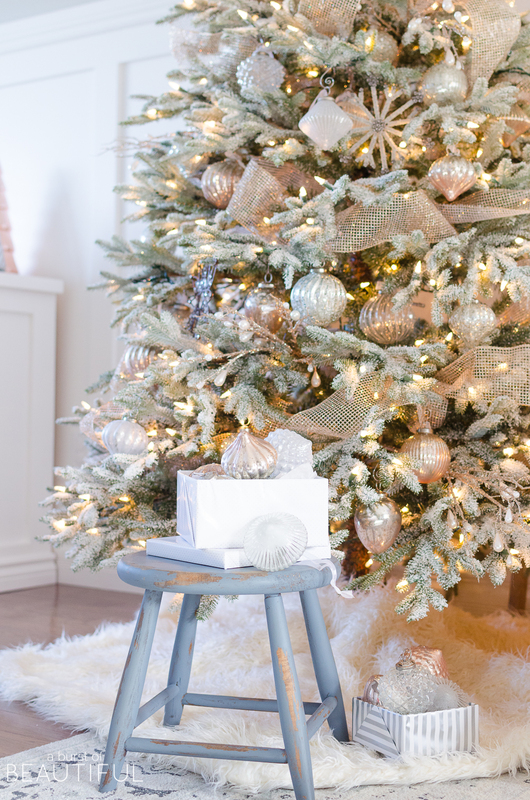 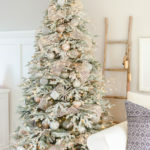 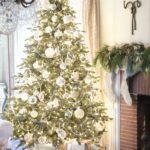 The tree is decorated in Alicia’s signature color scheme of white and textured neutrals, plus a little bit of silver and gold to add sparkle and warmth. 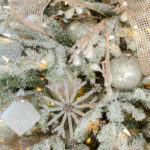 Exquisitely handcrafted décor adorns the tree, namely the French Country Ornament Set and Antiqued Snowflake Ornament Set, for a classic and timeless look. 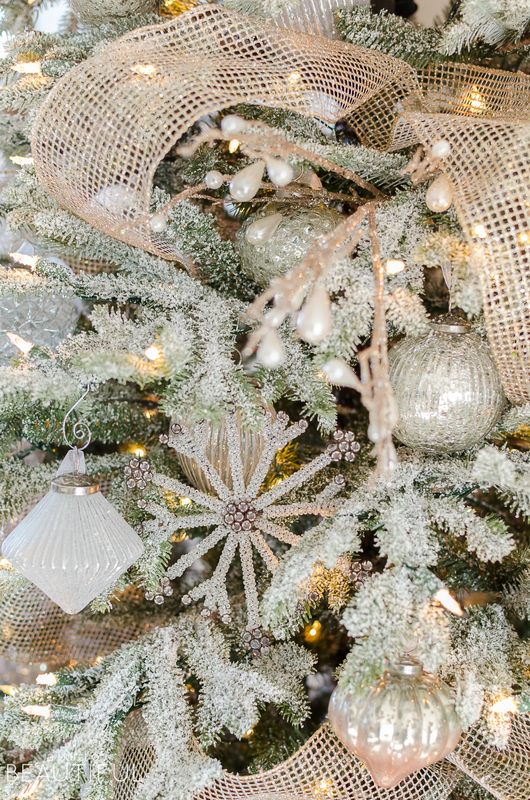 Pearl Glitter Picks, reminiscent of iced branches, enhance the elegant winter theme. 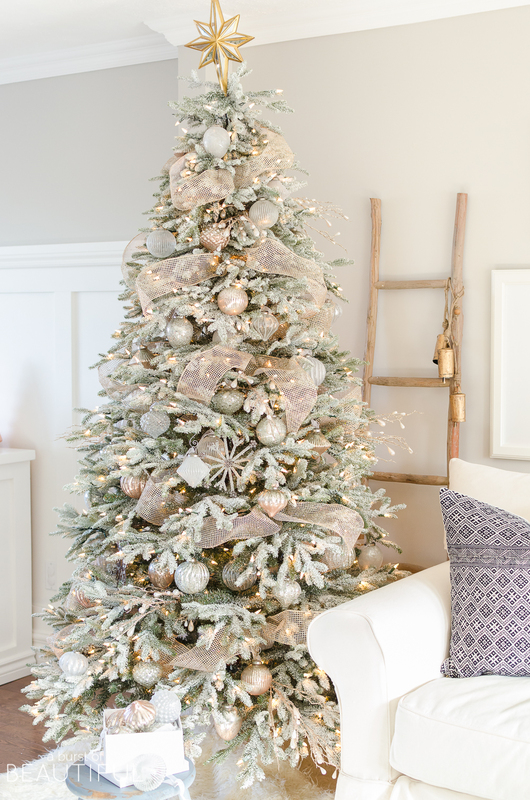 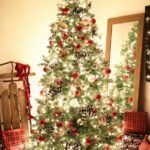 The tree is topped with a Double-Sided Mirrored Star for a touch of modern brilliance, while the base is covered with a Mongolian Faux Fur Tree Skirt for a warm and cozy feel. 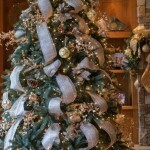 Delicate Gold Net Ribbon around the tree was used to bring texture and polish to the look.